Young Kit and Heloise are visiting a nearby village, whose fishers find a dead body. Heloise drags Kit into investigating without telling anyone where they’ve gone, and they end up being caught by a crew member of a ship investigating the remains of the ship that brought the original Phantom to the shores of Africa. The Phantom comes in pursuit and saves his kids and the crew but the captain is murdered by the escaping villain, who turns out to be in the employ of the Singh Brotherhood, in search of one particular artifact…and the picture of a girl who will lead to a golden age for the Singh. What they got right: A story that ties into the very origins of the Phantom? I like the idea. I also like the idea of the kids having their own adventure. 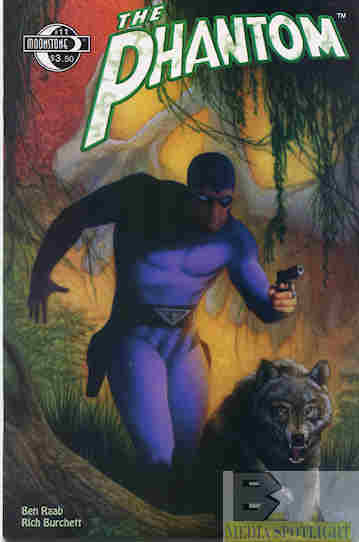 What they got wrong: Except it’s not really the kids’ story, but the Phantom rescuing the kids. Heloise comes off smart and resourceful and that’s fine, but Kit is supposed to be the next Phantom. His only skill is being smart enough to want to get help, but ends up following his sister instead. Why not give him a moment to shine as well, with skills his sister doesn’t have while she shows skills he doesn’t have? Recommendation: It’s a good story but I want to see if they follow this up with a storyline involving the Singh’s search for this mysterious girl in the drawing. Worth checking out anyway. Posted by ShadowWing Tronix on October 13, 2017 in Yesterday's Comics and tagged Heloise Walker, Kit Walker, Singh Brotherhood, The Phantom.